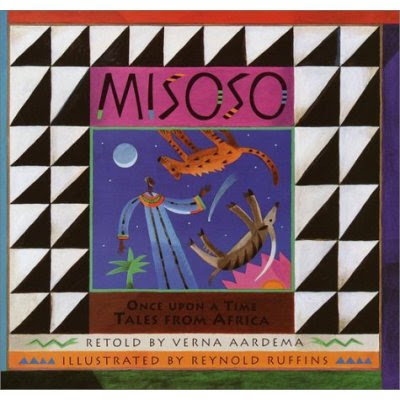 Misoso: Once Upon a Time Tales From Africa is a beautiful collection of stories from various regions in Africa. A simple map is provided at the beginning of the book to locate the origins of each tale. A short list of African words and definitions precedes each story. Misoso captured the attention of both Levi and Luke as I read many of the tales aloud. Levi was able to finish up the book on his own. The illustrations are bright and entertaining. The book contains a variety of stories, some short and some a little longer. I felt the African flavor was delightful. Another book on my recommendation list! I appreciate any excuse to cook and bake, particularly the 'educational' excuse. An African feast was in order. Not that this was a perfectly authentic menu, but it was what I could handle this week. 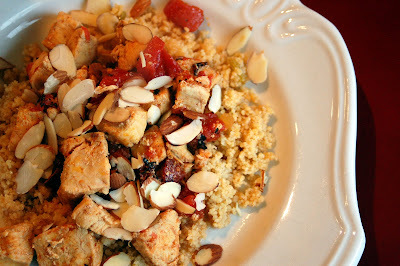 We ate Moroccan Chicken over Couscous with Almonds and Raisins, baked yams, and date bars. The plantains I purchased are still sitting on the counter. Maybe we'll get around to frying those up on Friday. This books sounds delightful. It's always wonderful to find such a book to expose our children to tales from other countries. 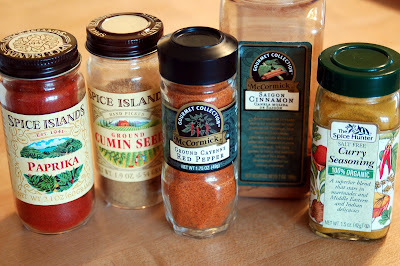 Wow, you sure did get inspired when you cooked up your African feast. You are one amazing lady. Hi! I've been reading your blog for a few weeks now and enjoy it! I teach 1st grade in West Virginia (public school). I just got finished up doing a study of S. Africa. If you email your address, I'd be glad to send you some things I did in class--a Swahelli (sp) dictionary for kids to make, a counting book, a couple of art projects--a Kamsha (made from "silver"--foil), and a couple of others. It may be something you could use with your boys.